SkinMedica® believes everyone deserves to have naturally radiant skin. That's why they have dedicated years of research to formulating advanced skin care products that rejuvenate skin. SkinMedica's entire aesthetic product line is based on the science of the skin's own healing abilities. As skin ages, elasticity decreases, lines appear, and overall appearance is diminished. To counteract the effects of time, SkinMedica®'s skin care products contain restorative ingredients that work below the skin's surface to regenerate the health of the skin. SkinMedica's scientifically proven recovery compounds include essential ingredients ranging from vitamins C and E to retinol to TNS®, our patented blend of growth factors, soluble collagen, antioxidants, and matrix proteins. The impact is clear - fine lines are reduced, age spots and discoloration fade, and skin texture and elasticity is improved. All results of SkinMedica's commitment to creating a lifelong skin care solution for healthier skin. NEOCUTIS is an innovative skin care brand that can improve skin discoloration, redness, bruising, wrinkles, and fine lines. NEOCUTIS utilizes specially engineered formulas that are ideal for all skin types. 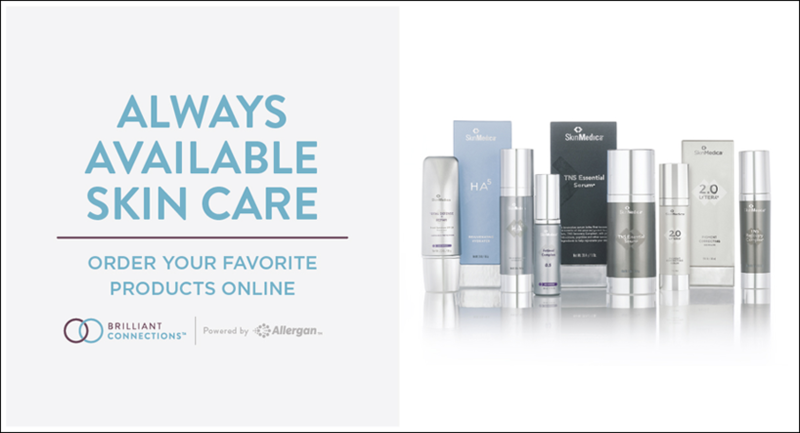 These skin care products can restore youthful-looking, glowing skin by improving skin structure, elasticity, and complexion. Nutrient and antioxidant-rich formulas can exfoliate, moisturize, and nourish your skin. Youngblood® Mineral Cosmetics is a premier mineral-based makeup line that can be used on all types of skin post-procedure to enhance your complexion. Made from natural minerals, including Hematite, Zincite, Rhodolite, and Malachite, Youngblood® Mineral Cosmetics are free of any irritants or chemicals. These makeup products can help cover up skin conditions, including acne, rosacea, or pigmentation issues to promote a healthy-looking, natural radiance. Youngblood® Mineral Cosmetics also offer protection from the sun to preserve the skin’s collagen and youth. BioCorneum® is an FDA approved silicone-based product to aid in the healing process after undergoing skin care treatments. This clear gel is applied to the skin to help prevent scarring, relieve itching, and improve discoloration. BioCorneum® hydrates the skin to benefit scar recovery and also protects the treatment area from bacteria or chemicals. Additionally, bioCorneum® provides a layer of protection from the sun’s rays.